5.23.14 | Oh Look! It's A Blog! This entry was posted in iheartslFeed, Uncategorized and tagged A.D.D. 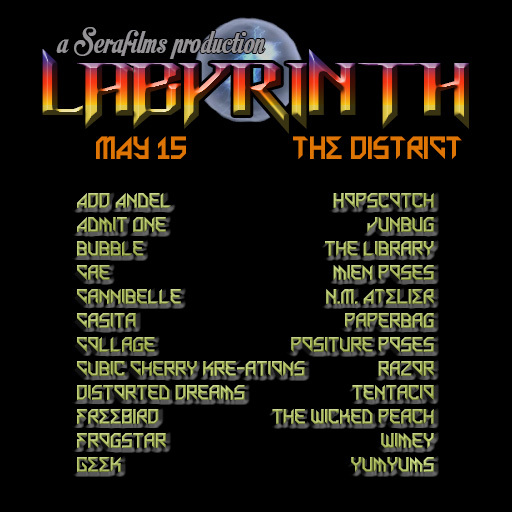 Andel!, ADD Andel, Alter Ego, Alterego, ANE, blog, Brandi, Dark Style Fair, Del May, DSF, Glam Affair, It's Further Than You Think, Labyrinth, Mesh, Razor, Second Life, Serafilms, SL, Spell Bound, Spellbound, TDSF, The Annex, The Dark Style Fair. Bookmark the permalink.